Become a Happerley Trailblazer for your sector? An opportunity for just ONE brand of business per sector to lead the way in championing a completely transparent approach to their supply chain and increasing consumer engagement in line with current market trends and consumer demands. These trailblazers will play a critical role in our journey to turn the food and drink industry transparent and inspire and educate the consumer to understand the journey of their food. 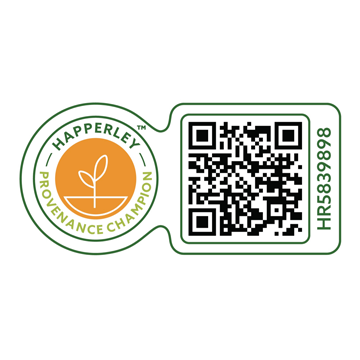 Happerley Provenance Champions will have a vested interest in substantiating the provenance premium and helping to deliver a level playing field across their sector and so delivering a currency of truth to empower the consumer. You are accorded a unique Happerley Provenance Champion QR code (distinct from a normal Happerley Transparency) for the whole duration. This will appear across your online and on app profiles. You will be the only provenance champion in your sector and will lead the way for other businesses to join as Happerley Transparent retailers and suppliers. Your brand will be prioritised on app and web searches via our Network Search, and actively promoted across all social media channels. 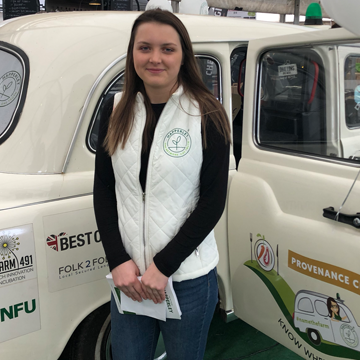 A huge part of our relationship with our Provenance Champions is to really shout about what they are doing in their industry and the impact they are having on their sectors and the Food & Drink trade. 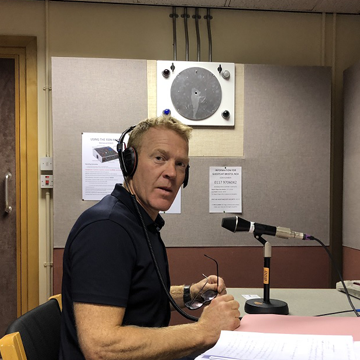 Enhance your marketing with our bespoke Happerley campaign, including an on-site photoshoot and filming with Countryfile’s own Adam Henson. An opportunity to showcase your commitment to full transparency and consumer awareness with bespoke marketing specific to your brand and marketing message. This video, in long format and short social media formats, along with the photoset, will be made freely available to you to use. Being a Happerley Provenance Champion comes with a range of added PR benefits, Our PR agency will issue a press release announcing your brand and business becoming a Provenance Champion and trail blazer within your sector. This will be circulated to all key sector media and a second edition issued to appropriate consumer media. 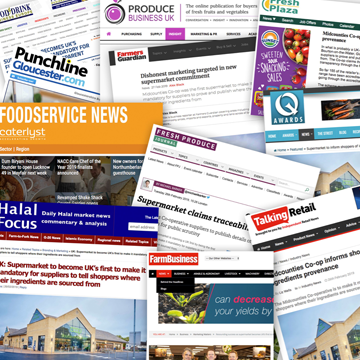 Our business message is regularly picked up in the media and relevant clients are featured where possible. An exclusive invitation to join us at national events throughout the year, showcasing not only your business and products but your Happerley Transparent status. This comes with a whole range of promotional opportunities and support from the Happerley Events Team. You will have the opportunity to be featured at pop-up restaurants, exhibitions and market events. Our Happerley chef, Sarah Dugdale (Masterchef semi-finalist 2019), will create an appropriate recipe featuring your product. This will filmed and published on youtube, photographed and featured on Happerley, and free for you to promote and use. 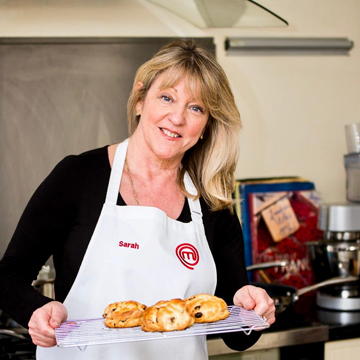 Sarah also incorporates Happerley Transparent products into her recipes which are used at pop-up restaurants across the country, these bring a range of promotional and marketing opportunities. Our team work between your business and your suppliers to not only verify the supply chain but to highlight and promote sustainable suppliers across the country, linking your business to the supplier and a range of other businesses across the country who are also Happerlely Transparent. Happerley was born in response to consumer demand to understand the supply chain and from a mistrust in the current marketing activities of companies across the country who boldly claim that they work specifically with local farmers and suppliers but in fact work with a network of importers. Consumers are increasingly interested in the journey of their food, from the quality of a cows life, to the environmental impact of the packaging around their bread and eggs. At Happerley we understand the pressure from consumers and work with businesses to highlight their CSR by bringing together all the key issues within the industry and addressing them on your designated Happerley micro-site. 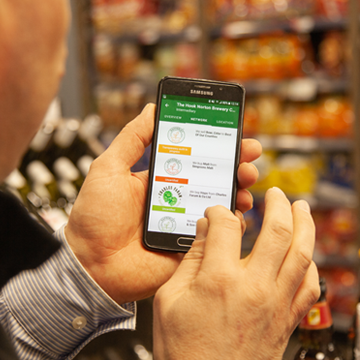 This supermarket will be the UK's first to empower the consumer to instantly know the provenance of their purchases. Point-of-sale will be unveiled on 27 February 2019 prior to a roll out across hundreds of Midcounties stores carrying their 'Best of our Counties' food and drink range. This store was recently named by leading retail experts IGD as one of just 14 ‘must see’ food stores in Europe and the only supermarket in England to be recognised, due to their focus on sourcing over 800 local products from Gloucestershire and neighbouring counties. The UK’s largest independent Co-operative, Operating 518 trading sites grossing £1.48 billion sales in the last financial year. Their heartlands are in Oxfordshire, Gloucestershire, Buckinghamshire, Shropshire, Staffordshire, the West Midlands, Wiltshire, and Worcestershire. As a co-operative, they are committed to ensuring transparency in our supply chain and, as such, have supported the Happerley Project since its inception. 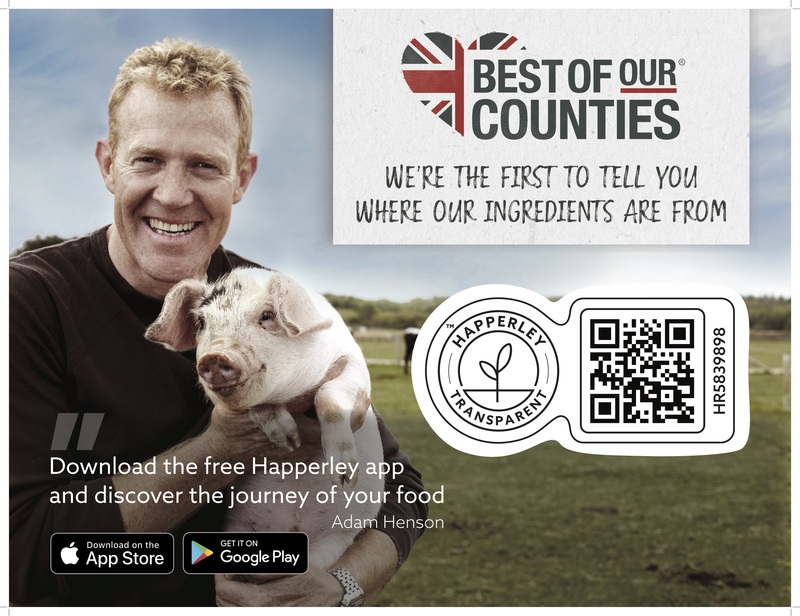 Six Midcounties suppliers will also be taking part in a pilot scheme with Happerley to track the provenance of their produce. Their Chief Executive, Phil Ponsonby, sits on our Advisory Board. Products from Midcounties 'Best of Our Counties' range is only sourced from the home or neighboring county of each store. This not only reduces food miles, it also means that their customers know exactly where their food comes from and how it has been produced providing peace of mind that it is of the highest quality as well as sustainably sourced. It had become clear that the disparity between supplier brands and actual origins of ingredients could be opaque and after a pilot with Happerley, it was decided to make it mandatory of all suppliers to be Happerley Transparent. The cost of this process was underwritten by Midcounties.